ISMAIL RAKIB Ismail Rakib was born in Kedah on September 3, 1970 with deformed hands and legs. 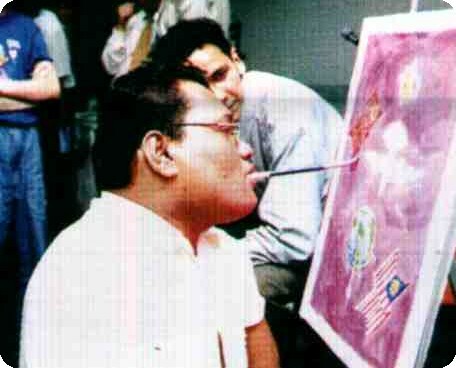 A self-taught artist, he started to paint since school days. His hobbies are painting and travelling. He was grated a stipend since March 1998.